Looking for ways to supplement your learning adventure? Here’s my resource mashup for you to check out. As always, I assume that you will preview/review the sites listed before allowing your children access. With that in mind, these are some resources that I have found helpful and/or interesting. More than 30 free resources listed. Free Worksheet Reference Sheet – Download our PDF with site links. Artips – free art history newsletter sent out three times a week via email. Teach Your Monster To Read, from the Usborne Foundation, is a free online program suitable for childr en in the first stages of learning to read or for older children needing a bit more practice. The games engage children through an adventure in a magical world. As they match letters to sounds, and work out blends and segments of tricky words, they’re on their way to reading full sentences. Teach Your Monster To Read keeps children focused on rehearsing and consolidating what they learn in school. Find out exactly what the game covers. The Usborne Foundation was created by Peter Usborne, the founder and Managing Director of Usborne Publishing, one of the world’s leading children’s book publishing companies and Children’s Publisher of the Year 2012. Free Science and American History Activities from Susan Kilbride’s Fantastic Unit Studies for Homeschoolers and Teachers. There are two free science units and 5 (soon to be 6) free pdfs of American History activities, available on this page of her website. The Science Units are Atoms and Molecules for ages 8-13 and Plants for ages 4-8. 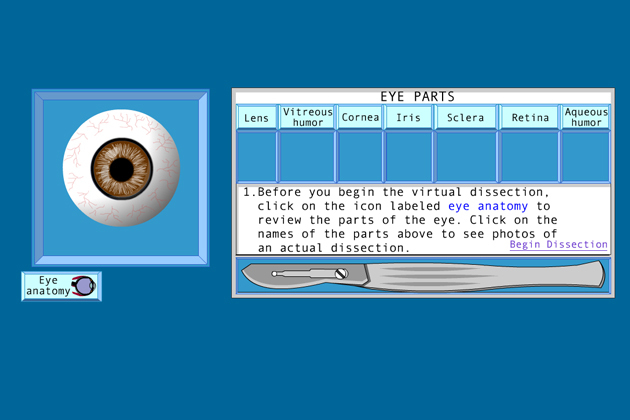 They are designed to make learning science fun for kids and easy to teach for parents. The American history activities were designed to go along with the Our America historical chapter book series, but they can be used with any unit on American history. Happy Homeschooling, from Sue Kilbride! Learning should be fun. At least that’s what John Green and his brother Hank Green try to do in their “lessons”. John & Hank Green and friends teach you all kinds of subjects – from World History to Astronomy, Literature to Psychology, and everything in between! Check out the playlists for past courses in World History, Biology, Literature, Ecology, Chemistry, Psychology, and US History, Economics, Astronomy and much more. Produced online monthly by Homeschooling Kids! You can view it online or request for it to be sent to you monthly. We are always looking for new articles, stories, jokes, poems, original recipes, and anything else interesting! 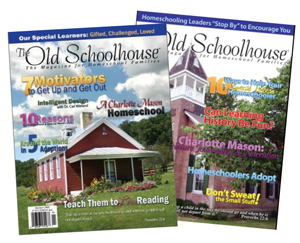 We have openings for Homeschooling Kids Magazine reporters who can write monthly or every other month – makes an awesome reference on college applications! Bubbles? Fire? Thermochemistry? On your ipad? For free? YES! ChemCrafter (named after the classic Chemcraft chemistry sets of old) is free and you can download it for the iPad at the iTunes store. See more about the development here. Or go right to the download. US Geography games. Learn State Capitals, locations, names, and landscapes. Levels from beginner and up. More than 38 games. all online and free. There are also links on the page to US Presidents and Government games. Plus more games are listed for learning science, history, vocabulary, and math! If you enjoy Charlotte Mason style (literature-based) lesson plans you may enjoy this history blog. Each week Gwen Fredette, who writes the Philadelphis Homeschool blog, posts a new, FREE lesson plan for multiple ages. 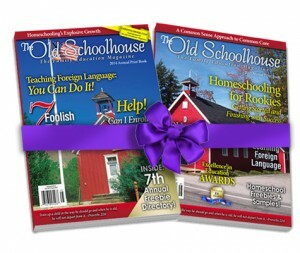 The lesson plans are created especially for homeschoolers. Gwen is the author of three homeschool science curricula, The Glory of Kings I, II, & III, and the free online History Curriculum, “U Read Thru History.” Click here to get to the site:U READ THRU History. Make schoolwork more palatable by leading students to analyze something that will interest them and express their conclusions in writing by using movies! Teach with movies is a free database of hundreds of films with summaries, character outlines, plot analyses, and discussion questions and worksheets that you can use to create lesson plans based on movies and film. When you can speak another language your world becomes bigger, richer and more inspiring. Learn with Babbel – it’s fun, easy and effective. From Erica Johns, Classical Composers Monthly, “this Columbus Day resource collection will make it super simple for you to just jump in and enjoy sharing the information with your kids. We have bunches of printables, videos, and interesting things to learn. Whether you have little tykes or teens, there is something for everyone here.” Get more freebies here from Composers Monthly. Free Online Art Classes, created by Lois DeWitt, is information-rich art instruction presented in simple, step-by-step format. The website is an ever-expanding series of step-by-step art lessons and videos in many art subjects including, Painting, Drawing, Collage, Oil Pastels, Colored Pencils, Conte Crayon, Printmaking, Jewelry Making, Finding The Artist Within, and much more! Here is good information and links relating to creativity in many areas including gardening, lighting, homeschooling, travel, aging and cooking. Free Resources Every Day – With Subscriber Exclusives by Email When You Sign-up for Updates. This had vanished for a while, so when I found the links available again I updated the info on this post. Go look at it because it’ll get you the Barnes & Noble site for the other books. Children’s books read by the author! Learn about coins from the United States Mint: a “wealth” of information and activities. According to the the New York Times – “Fewer than half of American eighth graders knew the purpose of the Bill of Rights on the most recent national civics examination, and only one in 10 demonstrated acceptable knowledge of the checks and balances among the legislative, executive and judicial branches, according to test results released on Wednesday.” This website, by a nonprofit group started by former Supreme Court justice Sandra Day O’Connor, has games to learn civics. Even if you went over the basics of government this year (yawn… not the most exciting topic), this will surely add to it! The National Repository of Online Courses (NROC) is a growing library of high-quality online course content for students and faculty in higher education, high school and Advanced Placement. NROC is a non-profit project and course content is an Open Educational Resource — which means it is available at no cost for individual use at the website. Khan Academy Learn almost anything for free. With a library of over 2,400 videos covering everything from arithmetic to physics, finance, and history and 125 practice exercises, we’re on a mission to help you learn whatever you want, whenever you want, at your own pace. The Khan Academy is an organization on a mission. We’re a not-for-profit with the goal of changing education for the better by providing a free world-class education to anyone anywhere. All of the site’s resources are available to anyone. It doesn’t matter if you are a student, teacher, home-schooler, principal, adult returning to the classroom after 20 years, or a friendly alien just trying to get a leg up in earthly biology. The Khan Academy’s materials and resources are available to you completely free of charge. A relevant, interactive, FREE, twice-weekly ezine packed with great reader tips, reviews, & practical encouragement for homeschool families. As families are considering programs, please research this to be spared disappointment and possible financial loss. This is a continuing legal battle which began in August 2009. Kickapoo Valley Reserve has this awesome bird identification resource. Nearly 200 specific birds in Southwestern Wisconsin are listed here. Identification includes photos and audio. The Kickapoo Valley Reserve is an 8,569 acre tract of land located between the villages of LaFarge and Ontario in southwestern Wisconsin. Its history, resources, administration, and recreational diversity make it unique – a place like no other. Maps ETC Homepage. Historic maps for students & teachers ETC’s collection of historic maps includes over 5,000 maps representing many different time periods. A friendly license allows teachers and students to use up to 25 maps in non-commercial school projects without further permission. All maps are available as GIF or JPEG files for screen display as well as in PDF for printing.